McALLEN — A woman here pleaded not guilty to knowingly attempting to structure more than $84,000 in bank deposits in an effort to evade federal reporting requirements, according to a four-page superseding indictment filed against her. 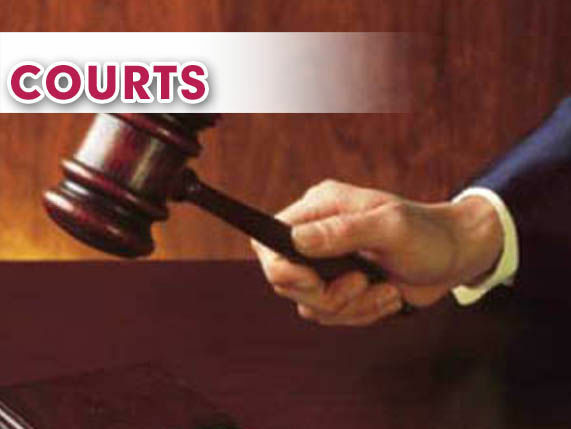 Selene M. Suarez, of McAllen, entered not guilty pleas Monday during a hearing, which was held before U.S. Magistrate Judge J. Scott Hacker, for all six counts of structuring transactions to evade reporting requirements, court notes show. The 42-year-old woman was originally indicted on one count of structuring transactions to evade reporting requirements on Jan. 24 until most recently, when on March 12 the government filed a superseding indictment with the five additional counts, documents show. According to federal banking guidelines, banks and credit unions are required to report cash deposits of $10,000 or more, or if a series of smaller deposits is made within a 24-hour period and their combined total is more than $10,000. Government prosecutors allege that Suarez, who was employed by Solla & Associates and U.S. Petromex Oil & Gas during the course of the alleged illegal deposits, made 14 bank deposits between Jan. 30, 2013, and May 4, 2015, that were meant to be structured in a way to avoid and evade reporting requirements. Petromex, which is a limited liability corporation established in 2012, has its headquarters located in McAllen. Prosecutors tied the first count of the indictment against Suarez to three deposits she allegedly made on Jan. 30, 2013 — when Suarez deposited three payments totaling $19,000 at two different Wells Fargo banks within 23 minutes of each other. Beginning that day, Suarez allegedly made three bank deposits at three different times, and two different Wells Fargo branches, in the amounts of $9,500, $4,500 and $5,000, the court document stated. The second count, prosecutors alleged, took place more than 18 months later in August 2014, between Aug. 11, 12 and 18, Suarez allegedly deposited $8,000, $7,000 and $7,500 on those respective days for a total of $22,500. Seven months later, Suarez allegedly made two additional transactions, on March 19 for $8,000 and on March 24 for $4,640, which accounts for the third count of the indictment. In the subsequent months of April and May 2015, Suarez allegedly made six more deposits that make up the counts 4-6 and tallying $30,400, bringing the total over the course of more than two years to more than $84,000 in bank deposits. As part of its case against Suarez, the government intended to seize “all property, real or personal, involved in the offense and any property traceable to such property,” the court document stated. As part of that criminal forfeiture, the government intends to seize “a sum of money, equal to $84,240,” according to records. Suarez, who remains free on a $60,000 bond, is expected back in court for a final pretrial hearing in late June with her jury trial expected to begin the first week of July, court notes show.